For many years crowds have flocked to the Frenchville Sports Club’s Ryan park to see goals hit the back of the net on the Soccer Field or over the cross bar of Rugby League and Union. But for the first time in the club’s history, four goal posts will be situated at each end of the ground as Australian Rules football sets to add another chapter in the history of one of Rockhampton’s premier sports venues. Last year, the Frenchville Sports Club broadened its horizons when it partnered with the local AFL Capricornia competition in what has already proved to be a successful partnership. 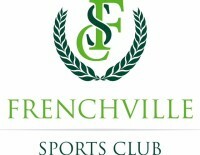 Frenchville Sports Club Chairman Graeme Brady said the partnership boasts limitless potential in the future. “The support of the AFL Community has been tremendous, and we look forward to season 2019 and building on the good relationship we do have,” Brady said. 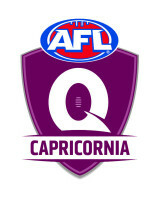 AFLQ Competition Manager Brad Matheson was thrilled to be able to bring AFL to a venue that has already offered so much support to the local competition. “We have had constant dialogue with the Frenchville complex regarding how we could bring our game to a venue that has done helped us grow in the region,” Matheson said. 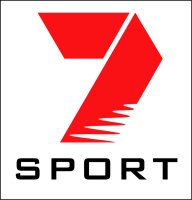 The modified version of the game is played on a standard soccer or rugby field and only sees seven compete on each side. 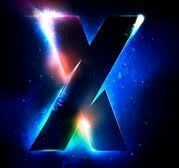 With the support of AFL Queensland, a set of point posts were supplied to complement the existing posts and planning went into the first AFLX tournament in Regional QLD. With an impressive resume of sports involved at the club, the surface at Ryan park held an esteemed history of sports at the ground which now includes Australian rules. “Not in our wildest dreams would it be envisaged that AFL would be played at Ryan Park. It is one of the city’s premier playing surfaces and we look forward to all the weekends action,” Brady said. Action kicks off tonight with the local Gold Coast SUNS U16 Development Academy playing two exhibition matches while Brothers will take on Panthers to kick the challenge off.